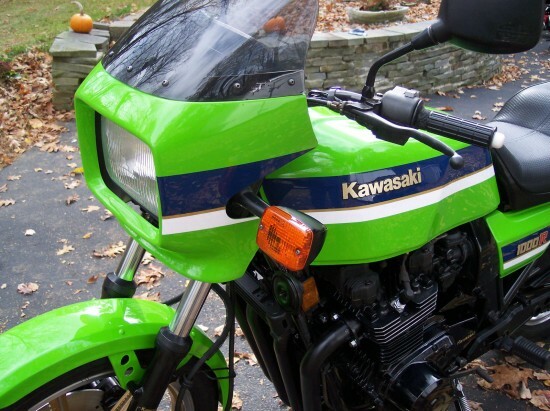 This bike is one of the classic road-going race-replicas of the era, a Kawasaki KZ1000R, also known as the “ELR” or “Eddie Lawson Replica.” Eddie Lawson was spectacularly successful on his bright-green KZ in AMA Superbike championship racing during the early 1980’s and the ELR was built to celebrate that success. 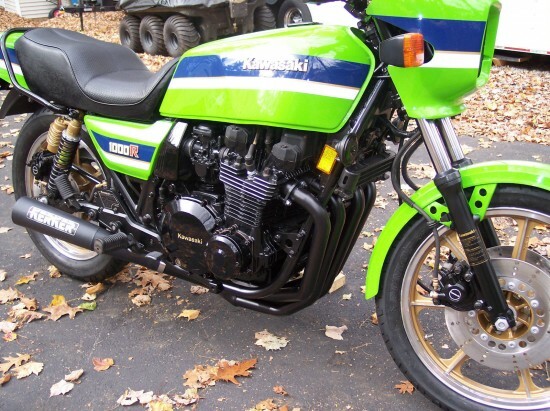 The KZ1000R was based on the more common KZ1000J that was, in essence, and evolution of the original Z1. 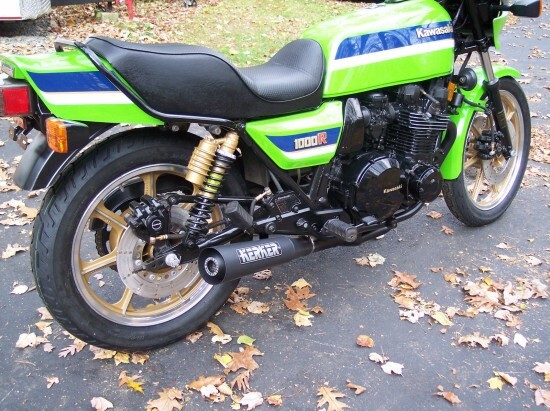 That engine had grown from 903cc to 1015 but was stepped down to 998cc for the KZ1000 to make it eligible for various racing classes that were limited to 1000cc. 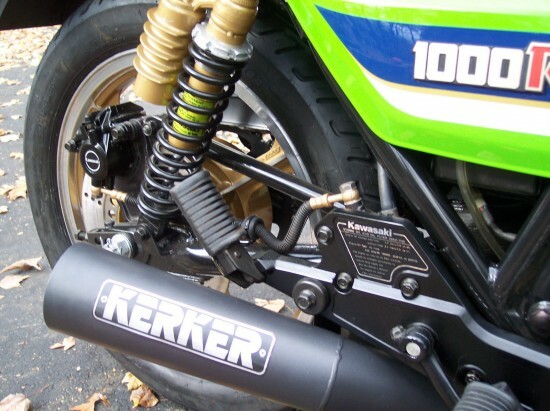 Typical hot-rod tricks were used for the KZ1000R to improve performance and the package included an oil-cooler, a slick Kerker 4-into-1 exhaust, and uprated suspension. 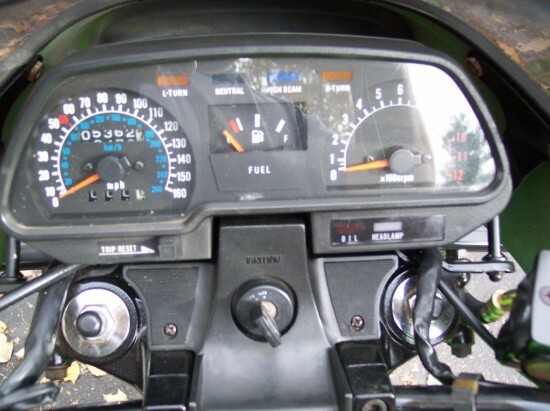 A slight difference in frame geometry that increased the steering-head angle led to a pretty significant change in feel, and the “R” felt much sharper than its more pedestrian “J” cousin. 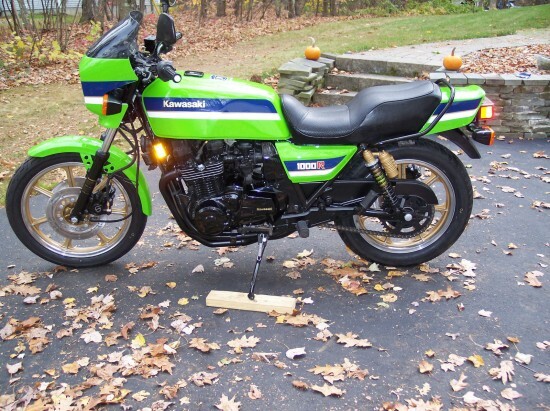 With just 5,000 miles on the clock and only 750 examples built, it’s no surprise that the reserve has not been met at $7,400, especially since it’s been signed by Eddie Lawson himself! 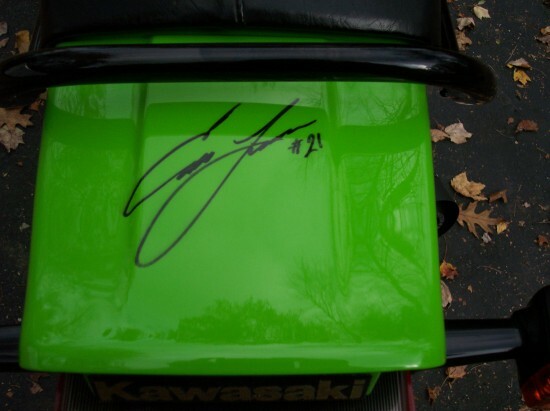 The repaint detracts from originality, but that should be balanced out nicely by that signature. The J2 & J3 KZ models are hen’s teeth-the ELR bikes are based off those models and are even more rare-nice find & addition to any collection.